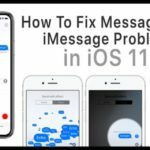 Ever wondered how to delete saved text message data like pictures, videos, stickers, or other iMessage attachments that take up storage on your iPhone without deleting the whole text conversation? If so, you’re not alone. And now, with iOS 11+, there’s finally some good news for everyone who loves to text and save storage space! In particular, iOS now comes with a handy feature to individually delete iPhone Messages Documents & Data. 1.1 Another benefit of Messages in iCloud? 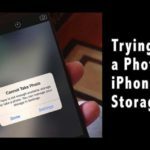 2 iOS11+’s Name of the Game–Storage Savings! 2.1 Are Your iPhone Documents and Data Huge? 3 But iOS 11+ Changes Everything! 4 Need More Space Saving Tips for Messages? 5.1 Check out these two articles to make sure you save your photos to the Photos app! When you update your iPhone to Apple’s newest iOS, there’s a lot of small changes that most don’t notice or pay attention to. But it’s often those small, unheralded changes that reap the biggest rewards. And such is the case in iOS’s updated Messages App. Tucked away in your Settings is a potentially huge change maker–the ability to manage your Message Documents & Data. For those with small iPhones, this iOS update potentially saves some serious storage space! So pay attention! 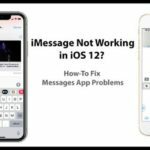 iMessage Not Working in iOS 12? If you’re using iOS 11.4 or higher, there’s some really good news. You can now keep all your messages in iCloud! Once enabled, Messages in iCloud updates automatically, so you always have the same view everywhere you use iMessage. And now, when you delete a message, attachment, photo, conversation, and so forth from one device, it’s removed from them all. Another benefit of Messages in iCloud? 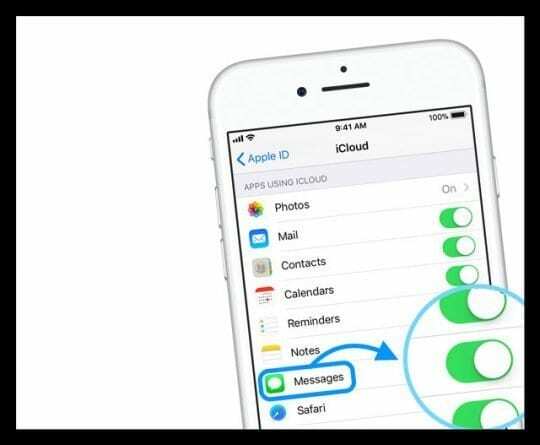 With this small change, you can offload all those texts to your iCloud storage account. Just remember that the free account comes with only 5GB of data for everything. So you may need to consider updating your account to a paid plan. All conversations are still end-to-end encrypted so Apple and others cannot read them! 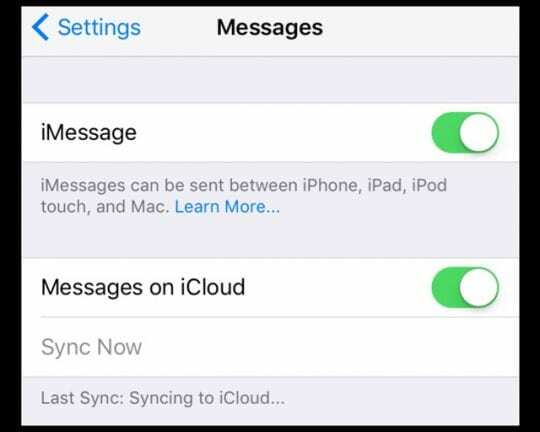 To learn all about Messages in iCloud, check out this detailed article! 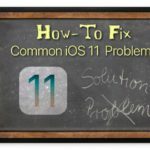 iOS11+’s Name of the Game–Storage Savings! iOS 11 includes an amazing new bag of tricks for managing your iPhone’s (or iPad’s) Storage! The offerings are vast, from the new space-saving image and video file formats to intelligent storage management tools. These are the kind of features we’ve wanted for a long, long time–and finally, with iOS 11+, they are here! For those using iOS10 or even iOS9, we have some great tips for you on how to save Message Storage. Are Your iPhone Documents and Data Huge? Then Delete Your Messages App’s Documents & Data! One fantastic but overlooked change is the ability to pick and choose what stays and what goes in your Messages App’s Documents & Data. We all know that Message Data can get very fat, very fast, with many users charting in an astounding 2-6 GB of text and message data going back years! When you have a phone with a lot of storage, it’s no big deal. But most of us have iPhones with 16 or 32 GB of data, so that BIG FAT Message App starts looking like it needs a diet, like NOW. If you’re seeing the message that your iPhone’s Storage is Almost Full, if you’re unable to take a photo, or if you can’t even update to the latest iOS because your phone’s out of space, it’s time to organize and clean out all that clutter. 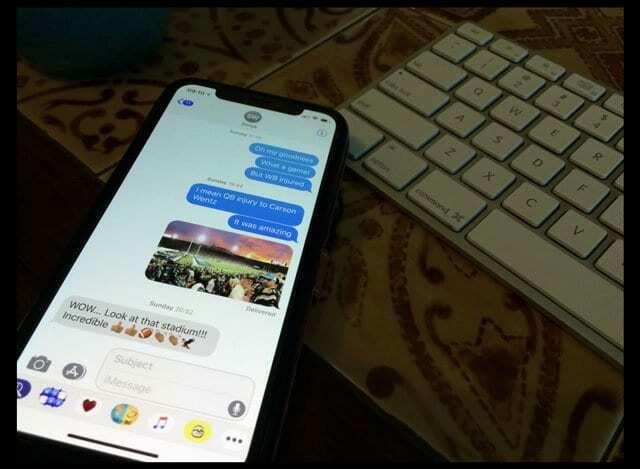 If you’re an avid texter and love sending/receiving rich Messages with a lot of pictures, videos, stickers, and other bells and whistles, you’re likely to notice that your Message App is enormous. Take a look at your Messages App and look under Documents & Data. Go to Settings > General > iPhone Storage (for older iOS look at Storage & iCloud Usage > Manage Storage.) First, look at the total amount of storage Messages currently consumes. 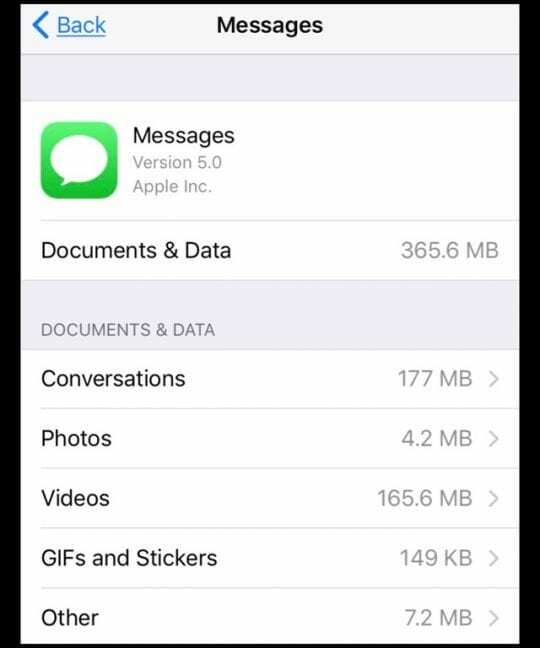 This number is your Messages App Documents & Data and includes things like your text’s downloaded images, videos, and any other sent/received files. In previous iOS versions, there was no way to delete Message app documents and data outside of going into each conversation and manually cleaning out any attached files. But iOS 11+ Changes Everything! Now, we can indeed delete all or some of these Message attachments with iOS 11+’s fresh storage management system. Delete message attachments like photos, videos, GIFs, stickers and other media attachment. To do this, go to Settings > General > iPhone Storage > Messages. You see a snapshot of all your Messages’ media files by category such as photos, videos, GIFs, and others. Tap on what you want to manage. Then swipe left on an individual file and tap Delete. Or select Edit at the top right and checkmark the files you want to delete. And trash them! Do this for all types of media or conversations–all through your Settings App! Even delete PDFs, audio files, and other types of documents through the Other category. 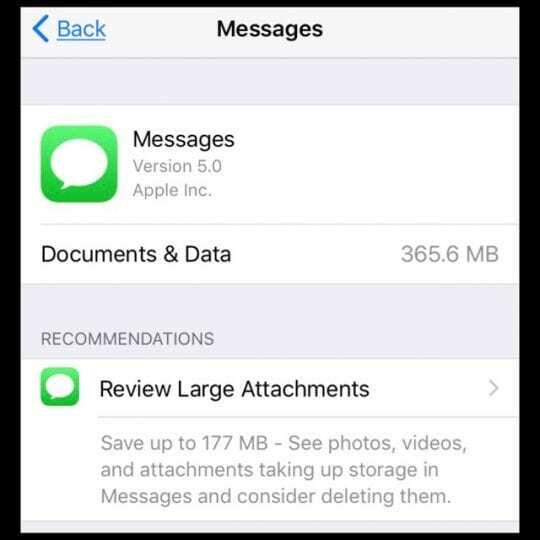 Another great feature in your Messages Storage Settings is Apple Recommendations. 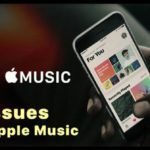 Based upon your unique use, Apple provides certain recommendations to help you manage your device’s storage. There are a couple of options offered for heavy Messages users, including Auto-Deleting Old Conversations and Review Large Attachments. You’ll also find some recommendations within your Messages Setting, just above Documents & Data. 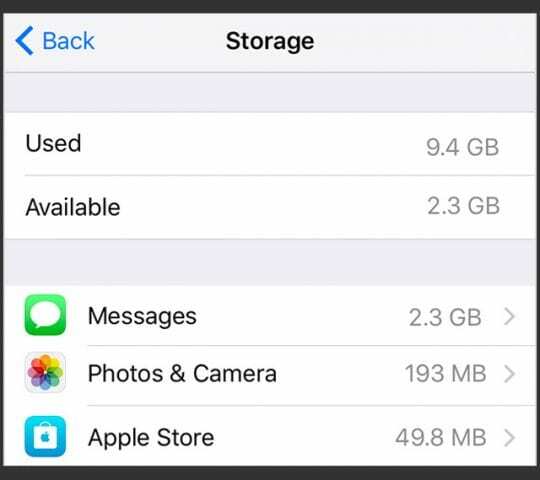 Learn more about all of Apple Storage Recommendations with our article Quickly Free Up iPhone and iPad Storage in iOS Settings. Need More Space Saving Tips for Messages? 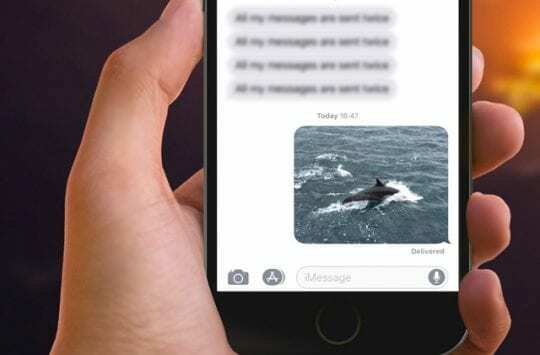 Check out our article on how to delete saved text messages that are taking up storage on your iPhone using iOS12. 11, 10, and even below. If you do not save your Message photos specifically to your Photos app, then your text/message photos are not stored anywhere else. 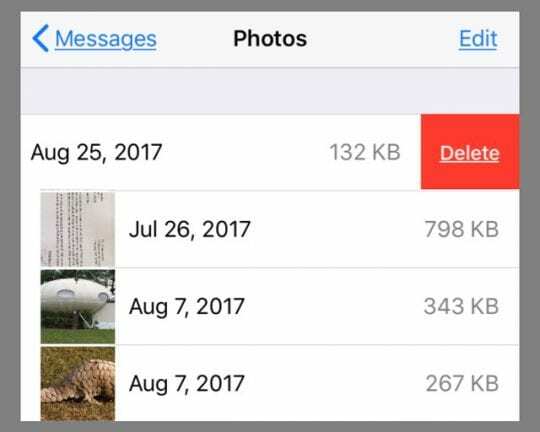 Photos that come through your Message apps, emails apps, and other third-party apps are not automatically saved to your Photos App. You must do this intentionally. Check out these two articles to make sure you save your photos to the Photos app! Texting with friends and family is easy AND fun. It makes sharing almost anything as simple as one touch and it’s delivered right to their phone or device. But all those photos, videos, stickers, and other texted files quickly add up and may even take up a significant part of our iPhone’s storage space. But iOS now comes packed with great new storage features, including the ability to delete iPhone Messages Documents & Data. Not only that, but iOS 11 also offers ways to automatically get rid of all those unwanted text and message attachments. And all you have to do is follow these steps–AND DONE, SPACE SAVED. If I delete photos in the Messages app Documents and Data are they still in my Photos app? However, if you did not save your Message photos specifically to your Photos app, then NO your text/message photos are not stored anywhere else. Photos that come through your Message apps, emails apps, and other third-party apps are not automatically saved to your Photos App. You must do this intentionally. How about some way to PERMANENTLY DELETE Recents from my messages app. They keep reappearing if I manually delete them one by one, not to mention the aggravation of doing so. Thanks! If I’m missing something PLEASE tell me. Are your Messages reappearing on a single device or on multiple devices? Say, for example, you delete them on your iPhone but they show up on your iPad. Or are you deleting from your iPhone only to have them reappear on that same device, even after deleting? Unfortunately, if the problem showing up on multiple devices (like the iPhone/iPad example,) this is currently the normal Messages behavior. 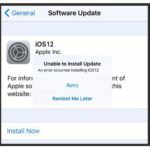 Once Apple releases Messages in iCloud (a feature they tested in the early Betas of iOS 11 but later removed as it needed more development,) deleting messages across devices will be possible. But we’ll have to wait for Messages in iCloud to release. 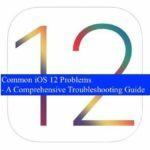 If the problem is happening on one device (like the iPhone example,) check that you are limiting your Message History to 30 days or 1 year–not Forever. Go to Settings > Messages > Keep Messages. Next, turn off Text Message Forwarding if it’s on. Next, go back to Messages and delete all those texts that you’re having trouble deleting. Finally, sync your iDevice with iTunes (recommended) or iCloud. When you delete things from your iPhone, including app data, Messages, and so forth, they actually go into a sort of deletion holding pen where they’re hidden from your iDevice and marked for deletion by the operating system. It’s not until you sync your iDevice with iCloud or iTunes that all these marked for deletion items actually get removed. That’s another reason why syncing with iTunes or iCloud is so important. 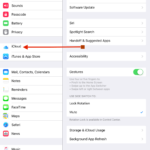 After you sync with iTunes or iCloud, restart your iDevice by pressing the power button and swiping off. Once restarted, turn back on Text Message Forwarding if you want to send your SMS texts to another iDevice. Keep us posted and hope this helps.